Tbilisi is the largest city and capital of Georgia, with a population of more than 1.5 million people. Situated at the boundary between Europe and Asia, this fiercely independent city is home to different ethnic groups and languages, having been fought over by rival empires and powers for centuries. 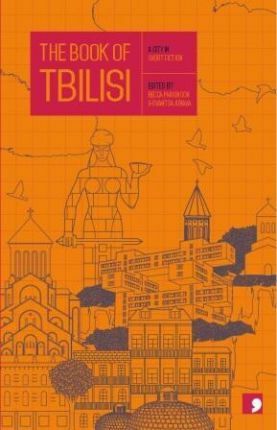 This complex history of foreign dominance and independence struggles, its mixture of orthodox Christianity with Arabic and Turkish influences, and its completely unique language and script, are all reflected in the literary voices emerging from the city, just as its architecture displays an enigmatic mix of Middle Eastern, Art Nouveau, Stalinist ambition and Modernism. Becca Parkinson is a sales and production manager. She is the co-editor of The Book of Riga. Gvantsa Jobava is the current chair of the Georgian Publishers and Booksellers Association. She has worked as manager for international relations at Intelekti Publishing since 2010, helped organize the Tbilisi International Book Fair (2013-2016) as well as other book promotion events in Georgia, and was named a Frankfurt Book Fair fellow in 2015. She is also a member of the organizing committee for Georgia's Guest of Honour presentation at the Frankfurt Book Fair in 2018.